Hats are carefully packed in a medium USPS Priority Mail box to ensure they reach you with their crown intact. Order one—or more—for a friend. Now you can purchase the same patches that are on our hats and sew them onto your favorite hoodie, jacket, pack, or.... Each patch is 1 3/4" high by 4" wide. The patches are so durable they might just outlast whatever you sew them onto! 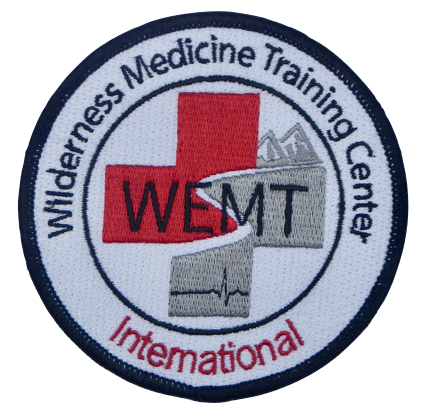 Wilderness Medicine Training Center International Wilderness EMT Patch. 3.5-inch diameter WEMT patch. You must be a currently certified WEMT to purchase this patch.